Brazil is home to over 300 types of stingless bee, 150 of which are found in Amazonia. One of these is the canudo bee, of particular importance to the Sateré-Mawé people; this tiny insect is the main pollinator of their sacred plant, the waranà (also a Slow Food Presidium). Honey production peaks between September and December, when flowering is at its height. The link between the Sateré-Mawé people and the wild stingless bees dates back to the pre-Colombian period. According to popular legend, when Anumaré Hit rose into heaven, transforming into the sun, he invited his sister Uniawamoni to follow him. She was tempted, but chose instead to stay on Earth in the form of a bee so that she could help the Sateré-Mawé people look after the sacred waranà forests. This myth, passed down through the generations, reflected what the ancient Mawé already knew and what we are now rediscovering: that wild stingless bees are responsible for pollinating at least 80% of the plant species of Amazonia. Without them, the forest would disappear. The production area for the honey is a region of 8,000 square kilometers around the sources of the Andirá and Márau rivers. The local inhabitants have designated this land as the “ecological and cultural sanctuary of the waranà of the Sateré-Mawé” and Article 231 of the Brazilian constitution states that its use is exclusive to the indigenous Sateré-Mawé (14,000 people living in around 120 villages). The Sateré call the canudo bee “Awi’a sese,” or “the excellent bee.” It is very hardy and produces an extraordinary honey, with an intense, gamy flavor. Other products include an acidic pollen and a pure propolis obtained from the resin of dozens of tree species in the virgin forest. The propolis has various therapeutic properties of great importance in such a remote place, cut off from many services. The Presidium was started between 2006 and 2007 to protect the canudo bees of the Sateré-Mawé people and promote their products (honey, pollen and propolis). It is closely linked to the waranà project (the bees play an important role in pollinating the plants). This project is managed by producers linked to the Consortium of Sateré-Mawé Producers (CPSM), which is part of the General Council of the Sateré-Mawé Tribe (CGTSM), the largest body of political representation for this indigenous people. 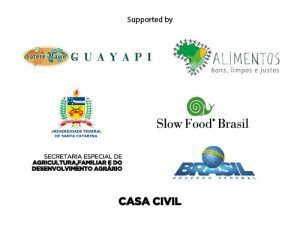 The CPSM works on the management, control and marketing of the canudo bee honey and also represents the Sateré-Mawé producers at national and international events and promotes indigenous issues in various political contexts.